Rebecca Lange - Norwex Independent Sales Consultant: Norwex Holiday Sale 2016! 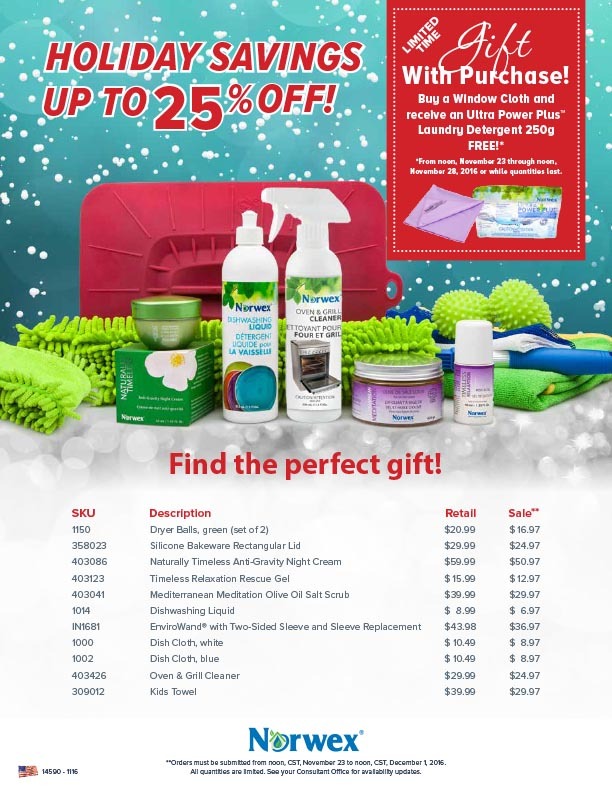 Holiday savings up to 25% off! Limited Time - Free Gift With Purchase! Buy a Window Cloth and receive an Ultra Power Plus™ Laundry Detergent 250mg FREE*! *From noon, November 23 through noon, November 28, 2016 or while quantities last. **Orders must be submitted from noon, CST, November 23 to noon, CST, December 1, 2016. All quantities are limited.